Each year, the edition of the 1001 Visages event gives rise to the award of several prizes to highlight the excellence of the work of the artists to whom they are handed. — The Audience Awards, category “Faces and Characters” and category “Humor”, are given to artists distinguished by the popularity of their artworks exhibited during the event to the public, asked to vote for the best artworks. Cédric Loth was born in Canada in 1955. Cedric‘s sculptures embody a paradox : the story of life told by stopping time, the result encompasses all that came before and all that will follow-captured in a split second of eternity. We are somewhere between myth and reality, the heroic and the human. He also offers us a rare glimpse of the primordial battle of man against his own nature, a battle that is reflected in the dual fascination of the sea; the need to control it and the desire to return. Loth‘s work is evocative of both the florentine school and Rodin, yet its spirit is rooted in literature, notably Hemingway, Conrad and Melville. We can smell the salt, the rum and, above all, the freedom. The solidity of the detailed bases provides strong opposition to the suppleness and fludity of the bodies and poles. These contradictory forces melt, merge and then freeze on the edge of explosion. Loth has worked in visual arts for over 30 years and is well respected by his peers and the public for his incomparable graphic eye, technical mastery and his undeniable sense of humour. 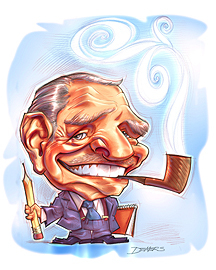 His caricatures have appeared in notable publications such as Time Magazine. — PORTFOLIO CÉDRIC LOTH (artist’s website) FR. André-Philippe Côté, an artist with many feathers in his cap, is often associated with the Québec city daily newspaper Le Soleil where he’s been resident cartoonist for over 20 years. Born in Québec City in 1955, his impressive professional training includes areas of illustration and the literary arts. Early on, he had such a passion for painting that he decided to make it his profession, and his discovery of modern art during his adolescence affected him to such a degree that he decided to immerse himself body and soul in fine arts at the college level. With time, his ability for drawing along with life’s fortuitous events led him to the world of cartooning and editorial cartooning in particular. Note: The Prix Robert-LaPalme is not awarded this year. 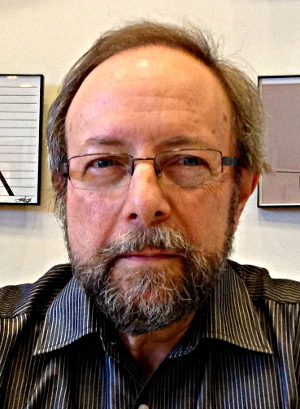 Internationally renowned Québec illustrator and cartoonist, Jacques Goldstyn became known mainly through his works devoted to scientific communication. On an international level, note that, since 2001, Goldstyn publishes his comics series Les Débrouillards in Hong Kong, translated into Mandarin in the journal White Antelope. 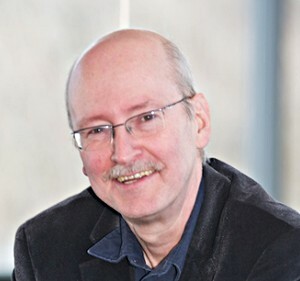 Finally, note that Jacques Goldstyn and his collaborator Félix Maltais are recipients of the Prix Michael-Smith Which pays tribute to groups that have made outstanding contributions to the promotion of science in Canada. — JACQUES GOLDSTYN (artist’s blog) FR. Terry Mosher, better known under his nom de plume Aislin, is a monument of the caricature sphere in Canada. 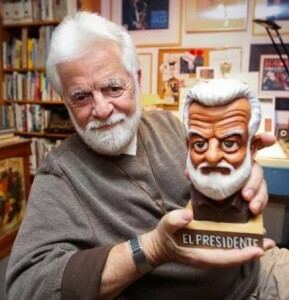 He caricatures Québec’s and Canada’s politicians since 1972 in the daily newspaper The Montreal Gazette. 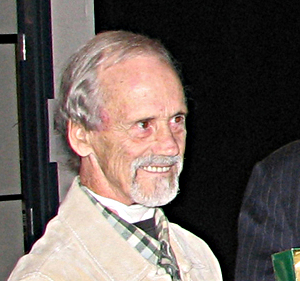 Terry graduated from the École des Beaux-Arts in 1967. He has published more than 40 books in his domain and he has always been an active developer for the caricature, nationally and internationally . 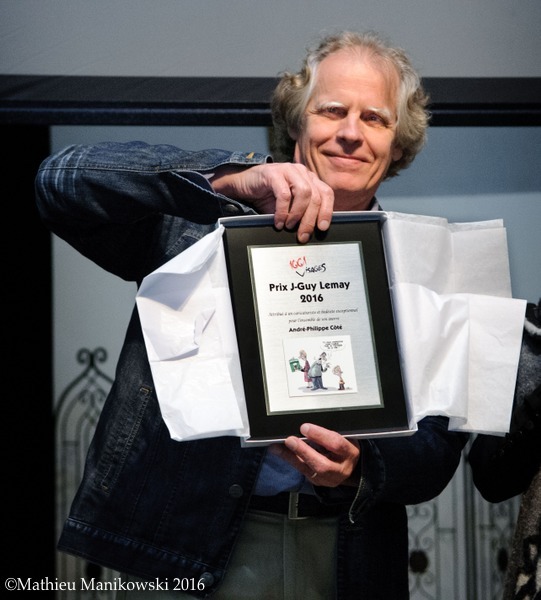 In 2015, Aislin received, along with Serge Chapleau, the Prix Hyman Solomon, in recognition for his excellent political reporting work. Over the years, he was the recipient of several other prizes such as the National Newspaper Awards, many prizes at the Salon de la caricature, induction into the Canadian News Hall of Fame and many other awards. — AISLIN CANADIAN CARTOONIST (artist’s website) EN. The very first Prix Jean-Guy Lemay rewards the artwork of our Special Guest Mario Malouin, caricaturist and comic book author for the Québec magazine Délire. Veteran of comic pages and cartoons in Québec, he began in the years 1970 and was one of the founders of the magazine Safarir in 1987, as well as one of its main pillars for twenty years. 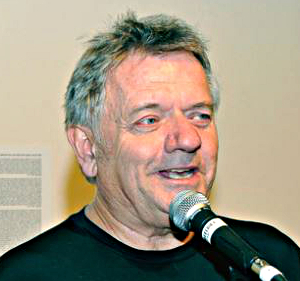 Mario Malouin has published several comics albums and compilations of cartoons. He has already earned several Prix including the Prix Bédéis Causae of the Festival de la BD francophone de Québec in 1988 for his entire career as well as the Prix du Journal de Québec for the cartoons album Le Monde du spectacle in 1994. Mario is a regular contributor to the magazine Délire since ten years. 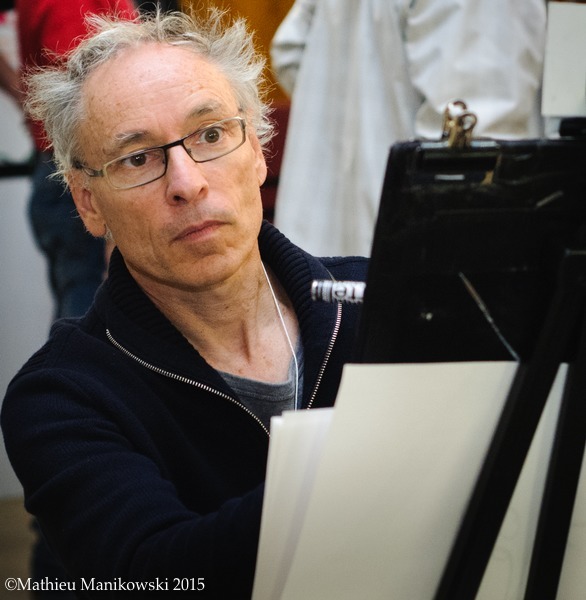 Caricaturist for the Journal de Montréal since 2002, Marc Beaudet Is recognized by his peers as an exceptionally gifted artist. 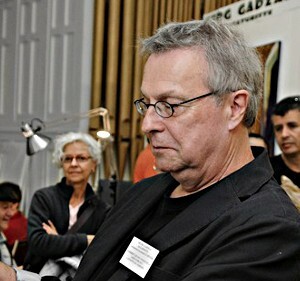 Well-established professional, recipient of various Prix, including the prestigious World Press Cartoon in 2008, he is the second person to have won this prize in Canada. 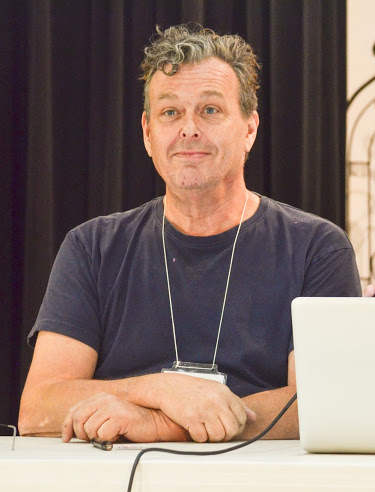 Member of the ACDE (Association canadienne des dessinateurs éditoriaux), He already has to his credit numerous collections of his annual caricatures as well as albums of comics. — @BEAUDETOON (artist’s twitter) FR. The recipient of the Prix Robert-LaPalme, Garnotte, real name Michel Garneau, is the editorial caricaturist of the daily Montréal newspaper Le Devoir since april 1996. 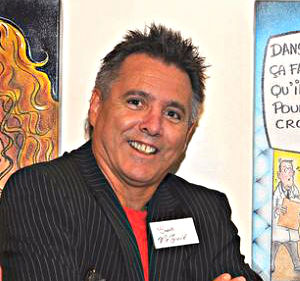 Born in Montréal in 1951 and after studying geography, Garnotte, contributed as illustrator, caricaturist and comic artist, To several newspapers or magazines as well as CROC, TV Hebdo, Protégez-vous, Titanic (for which he was also editor-in-chief), Les Débrouillards, La Terre de chez nous, Nouvelles CSN and Relations. The Guest of honor, Fleg, real name Christian Daigle, was the regular editorial caricaturist for the website Yahoo! Québec from 2010 to 2015. He also worked for the Québec city daily newspaper Le Soleil from 2002 to 2011. Fleg is born in Lévis in 1963. 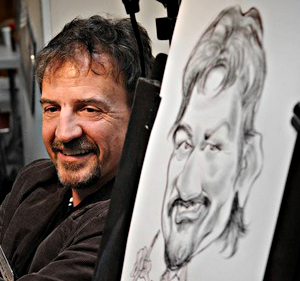 Caricaturist, he is also a graphic designer, illustrator and sculptor. In 1979, he was the recipient of the Prix J.W. Bengough as welle as the Prix Albéric Bourgeois en 1980. His interest in caricature began at the beginning of the years 1980 With his meeting with Robert LaPalme. — @FLEGCARTOON (artist’s twitter) FR. Besides doing caricatures live for corporate events, our Guest of Honor, Ferg Gadzalawas editorial cartoonist at The Westmount Examiner for over 20 years, during which time he received the Premier Award in 1999 for best cartoon from the Canadian Community Newspapers Association, and also the First Prize of Best Humorous Drawing in 2000 and 2001 from the Association of Regional Newspapers of Quebec. His work has has appeared in several films, including a cult classic, the Alan Rudolph film The Moderns. In 2011 he placed second in the Best caricature, party style organized by ISCA (International Society of Caricature Artists) in the USA. — CARICATURES FERG (artist’s website) EN/FR. Our Guest of honor this year, Didier Loubat Is recognized for his great cartoonist talents by his peers as well as by a clientele of renowned artists on the international level. The excellent resemblance of his models, his inventive compositions and his undeniable artistic talent have made him a prestigious guest at the event. 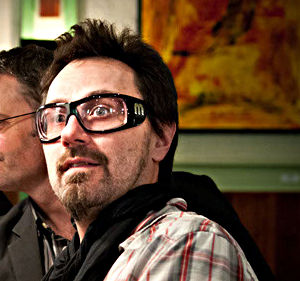 He exposes his artworks at the café Le Mouton Noir during the 2011 edition and realizes some caricatures in trio with Yves Demers and Patrick Dea which will remain a highlight of the meetings of cartoonists (see the MOVIE of one of their performances). — DIDIER LOUBAT’S PORTFOLIO (artist’s website). Note: None of awards in 2009. 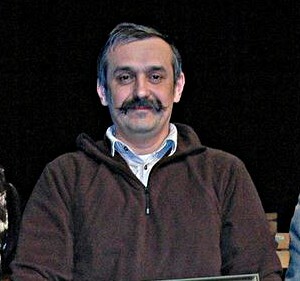 In 2010, the Prix Robert-LaPalme was allocated to Oleg Dergachov, resident of Montréal since six years. Traveling all over the world, he is known notably by his important international career in the field of humor drawing. He also produces bronzes, engravings, lithographs, installations and mastered a whole range of artistic techniques that make him an accomplished artist. — DO SUDIO (artist’s website). Our Guest of honor, Serge Métivier, well known as his nom de plume Métyvié, is a veteran in the world of caricature in Québec since the early 1980s. He knows all aspects of the caricaturist’s profession. Having been the star of the TV show Fais-moi un dessin, his professionalism and his naturalness on a stage are no longer to be demonstrated. Since 2007, he participates in all editions of 1001 Visages. — MÉTYVIÉ LE CARICATURISTE (artist’s website) FR. 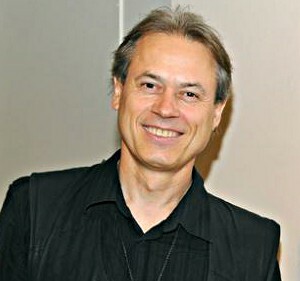 The Prix Robert-LaPalme was awarded to André Pijet this year. This cartoonist of Polish origin, established for a very long time in Québec, Is very active on the international scene. He has been the recipient of many Prix throughout his career. Thanks to its numerous contacts, he was the main instigator within the 1001 Visages of a section of humor drawings from all over the world. — CARICATURE ANDRÉ PIJET (artist’s website) EN. Few people know that the Guest of honor, Jean-Guy Moreau, well known in Québec as an imitator humorist, Is also a cartoonist at his hours. 1001 Visages invited him to exhibit his recent artworks for his annual exhibition. An amateur of comic strips, in particular of the series Philémon of the French comics author Fred, Jean-Guy Moreau was even committed himself in 1977 to script and draw a short comic strip published in the Québec comics magazine Baloune. In 2004, he published a collection of drawings entitled À tort et à travers on texts of Pierre Létourneau at the publisher Lanctôt éditeur. 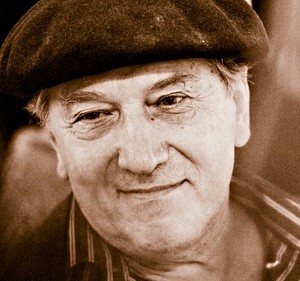 The Prix Robert-LaPalme was awarded to Bado, real name Guy Badeaux, in 2007. This editorial caricaturist of the Ottawa daily newspaper Le Droit has always been involved in the world of humor drawing. He is the publisher of the annual review Portfoolio which collects the best editorial caricatures published in Canada each year. Bado Is also a great traveler who regularly attends humor drawings events in various countries. 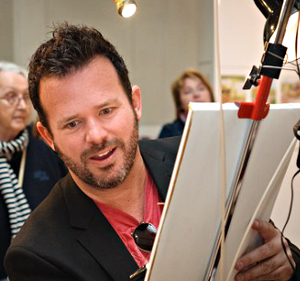 His knowledge and his passion for the world of caricature make him a must in this field in Québec. For the very first year of its release, the Prix Robert-LaPalme was allocated to Jean-Guy Lemay (better known under the pseudonym J. Guilemay), a caricaturist and sculptor from Sainte-Agathe, creator of the comic strip Bojoual le huron-kébékois which has been a real popular success in the years 1970. J. Guilemay has produced a whole collection of humorous sculptures, which are simply beautiful, representing Québec personalities. — BOJOUAL LE HURON-KÉBÉKOIS FR. 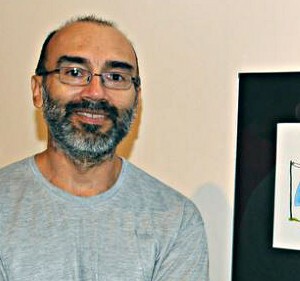 The first Guest of honor of 1001 Visages, Yayo, real name Diego Herrera, is known both as a cartoonist and illustrator for youth. 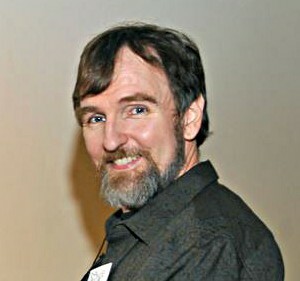 Residing in Montreal, he works for publishers from Canada and United States including, among others, L’Actualité, Châtelaine, Le Devoir, Reader’s Digest, The Wall Street Journal, The Chicago Tribune, The Boston Globe, Cartoonists & Writers Syndicate, Dominique et compagnie, Raton Laveur, Héritage, Les 400 Coups, Hurtubise HMH, Lobster Press, Tradewind Books et Holiday House. Yayo is trained in Advertising Design and Fine Arts. Several awards mark his career, of which, just recently in 2014, a Prix d’excellence at the XIVth International Editorial Cartoon Competition held by the Canadian Committee for World Press Freedom. — LE MONDE DE YAYO 2009 FR.